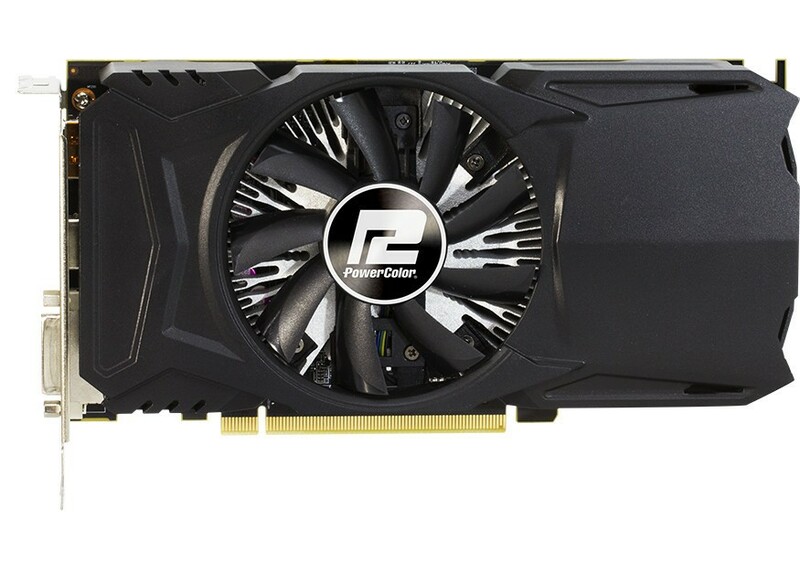 TUL Corporation, a leading and innovative manufacturer of AMD graphic cards since 1997, has released a new PowerColor Red Dragon RX 550 2GB GDDR5 added in the line of RX 500 series. It is based on AMD’s latest GCN 4 architecture designed for GloFo 14nm FinFET that delivers premium VR capability, increased level of performance, smooth VR, seamless support for next-gen gaming monitors and CPU-free game streaming or recording. 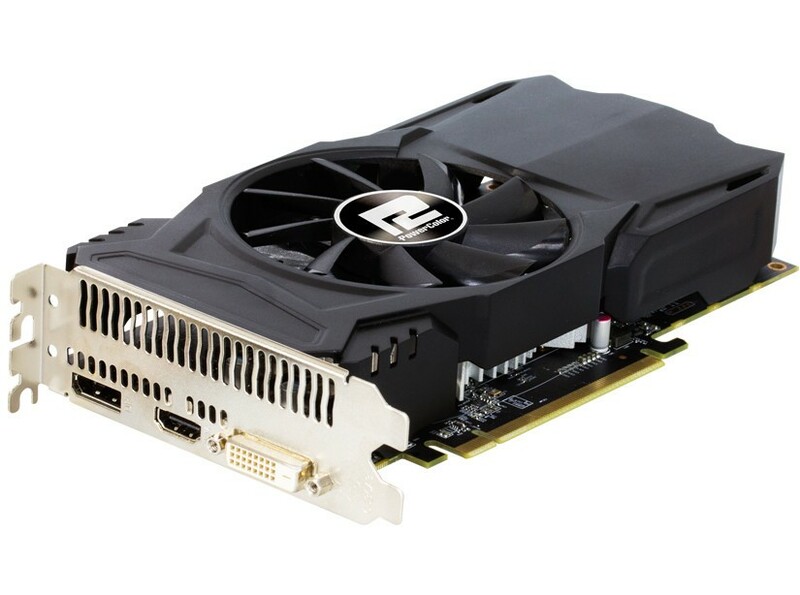 Furthermore, the model also supports AMD’s optimized DirectX 12, Vulkan Gaming, Radeon FreeSync, and Liquid VR. It has the features of AMD’s newest technology called Radeon ReLive which supports 4K, 30 & 60FPS, HEVC & H.264 providing you smooth recording on lower power systems, and Radeon Chill which is an intelligent power-saving feature that regulates dynamically frame rate based on your movement’s in-game. 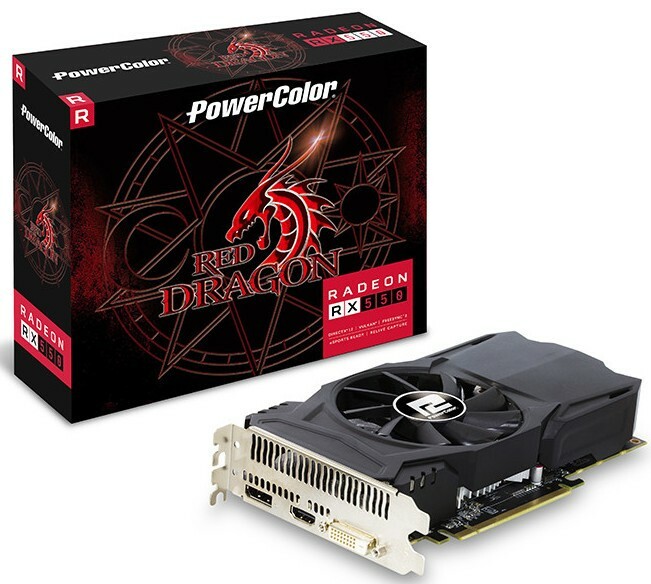 PowerColor Red Dragon RX 550 2GB GDDR5 utilizes 2GB of GDDR5 memory with 512 stream processors, ships with 1190MHz core clock speed, and has 1750MHz (7.0Gbps) memory clock speed which is connected via a new high-speed 128-bit memory interface. To support proper cooling systems for the heat dissipation, RX 550 2GB adopts the one ball + one sleeve fan which increases longevity and efficiency. 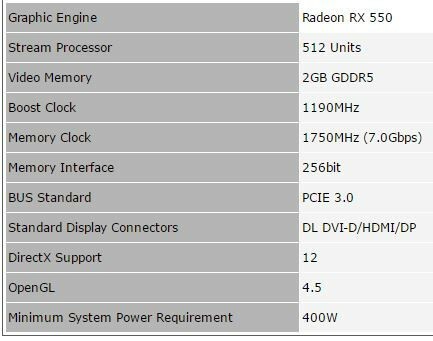 Besides, the performance is higher 2X than R7 250.